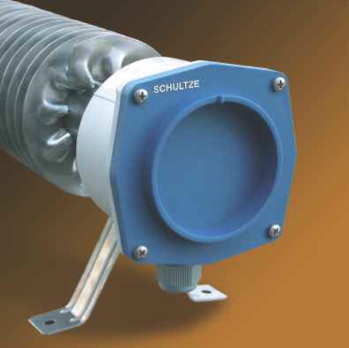 SCHULTZE finned sealed heaters offer safe electrical heating in the most challenging environments. 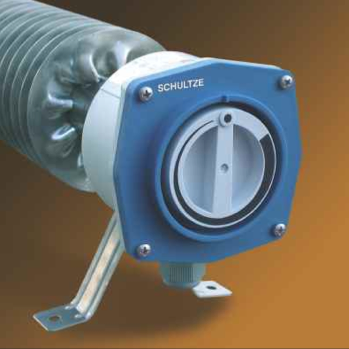 Designed and made to German Safety standards, SCHULTZE are a trusted name for sealed heating solutions. The signalling light - a most difficult part to seal, is protected with an o-sealing washer. High-grade steel screws according to DIN regulations guarantee a long service life and reliable heating. Clever ideas make your work easy, eg. the quick assembly foot. 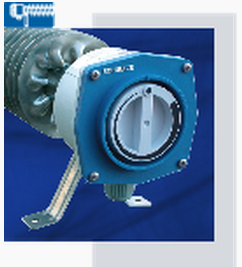 With the built-in three step switch heating power can be adjusted according to actual requirements. The heating power is steplessly adjustable and the thermostat keeps your chosen temperature constant. Chose either frost protection or your temperature between + 5°C and + 30°C! The red signalling light shows when power is on. The economic choice for rooms where a "full range" heating is not needed, e.g. 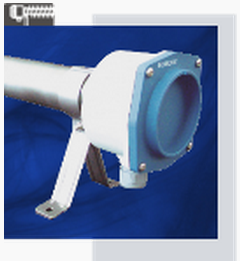 to protect your rooms or your valuable facilities against frost. To keep below the reduced surface temperature of 115°C we chose appropriate power layout. For completion, we recommend our new easy to use protection baskets. 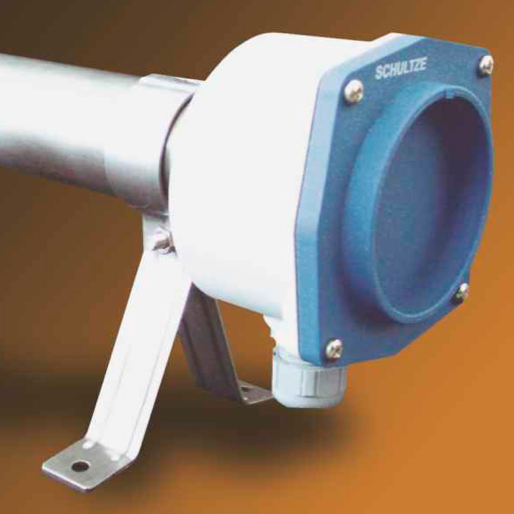 The electrical elements of our tube heaters N (normal) and S (strong) provide the same construction as the RiRo heaters. They are perfect for short term request for warmth. Type K is constructed especially for terminal compartments, small side-rooms, even wet or soaked rooms. Individual solutions concerning voltage, power or length can be obtained. (T4 < 135°C, T3 < 200°C, T2 < 300°C). 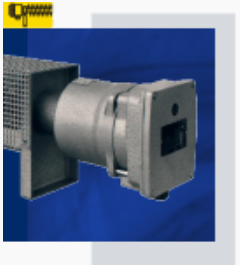 Apart from the heaters made of high-grade steel we can offer heaters with a painted or coated surface that are more cost-effective but still sufficient in many areas of application. 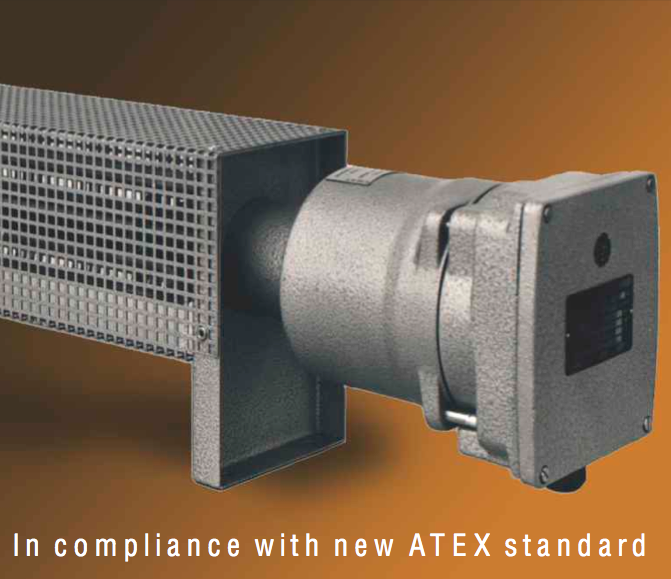 The minimum distance between the fins and parts of the case/walls being at the side of and above the heater must not be below 100mm. Please make sure that any objects cannot be put onto the heaters. The heaters are to be mounted horizontally only! Room tempterature is not to exceed 40 degrees celcius. To the devices the GOST certificate is also available.